A youthful voice commended Hotstix for his energetic (albeit ‘elderly’) approach to life. 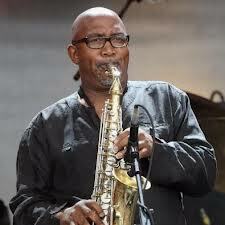 “I get motivated and inspired by the audience, and I embrace an attitude of inspiration,” replies Hotstix. 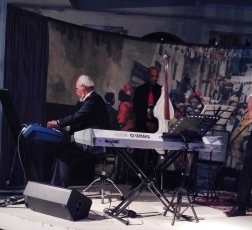 Hotstix performs Friday, 27 March 2015, on the ‘Kippies’ stage of the CT International Jazz Festival. Sipho and I started our interview session with some history. I was working in newly independent Botswana in 1968 as a teacher trainer when I listened to a lot of South African music of the ‘townships’. Sipho said his new band was playing at the Gaberones Main Hall then. Maybe I was there! I told him I saw the greats, too – Mingus, Charlie Parker, Brubeck – because I grew up as a teenager just a ferry ride away from Newport in those glorious, jazzy days. We shared our histories. 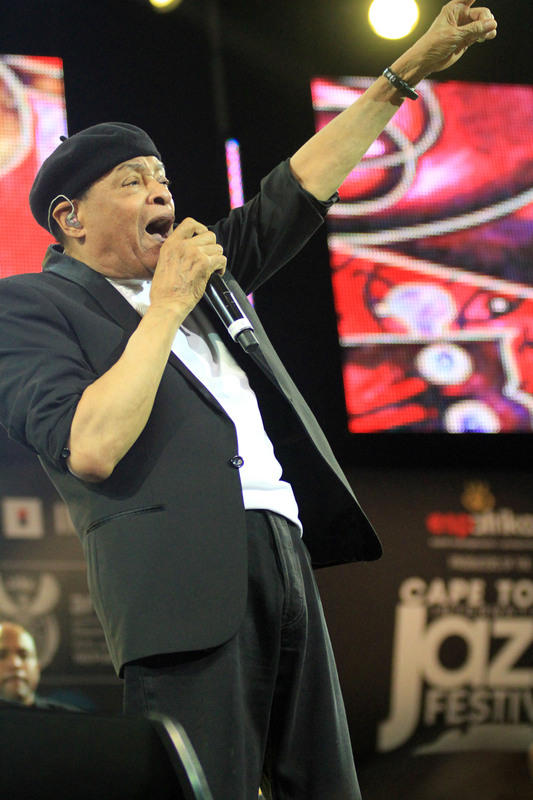 CM: Our concern with youth – There’s a desire to honour the legacy of South African elders and deceased artists and their contributions to the jazz world here. How do we encourage this honouring amongst the youth? 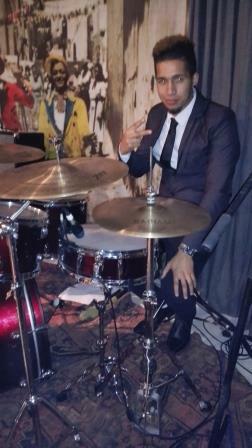 SM: Unfortunately, most jazz musos have operated within an insular framework. For instance, they try to play like Miles, and interact the way he did. Rather, we ask young people,” Show us what you can do.” Then we can interact with this and the whole ‘them/us’ impasse goes away. They begin to understand music in a particular way, and ‘we’ allow it. Barney Rachebane’s grandson, Oscar, has great sax skills, and plays pop. I told Barney to allow Oscar to play kwaito if he wants to. Don’t turn him into a Charlie Parker yet, but allow him to listen. He will listen, but if you try to channel his thinking….My advice was not heeded and I think this young talent is now messed up because he wasn’t encouraged to hear and learn from those early maestros of modern jazz. CM: Should improvisation be corrupted by pop music? SM: Improvisation cannot be corrupted by pop music, because improvisation IS what it is. Let’s first ask ourselves, what is jazz, historically? What were people doing before they decided to improvise? It was a development within a pop environment, maybe not the same as perceived today. There has always been pop music happening in a certain era which people related to. If you listen to Charlie Parker, for instance, some of his music was dance music. What he found in dance was the jazz…. 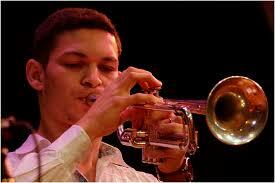 He allowed the improvisation to happen within that dance style and this was a way to expand his jazz. Maybe, we’re missing that point. Did the guys create jazz out of nothing? It’s a feeling, from the soul. Improvisation wasn’t just created out of a vacuum. Jazz should not ‘scare’ youth. So Parker managed to make pop culture ‘jazzy’. In Soweto, we have ‘Jazz Sessions’, I don’t know if you have something similar here in Cape Town. Coltrane – he has a song called, ‘Spiritual’. It’s a bouncy, poppish song, but he improvises. It is a very repetitive piece, and could be boring. But because he improvised on it, you don’t hear the monotony within the chord structure…….because it’s Coltrane. You take the name and his reputation and it’s no longer ‘pop’. 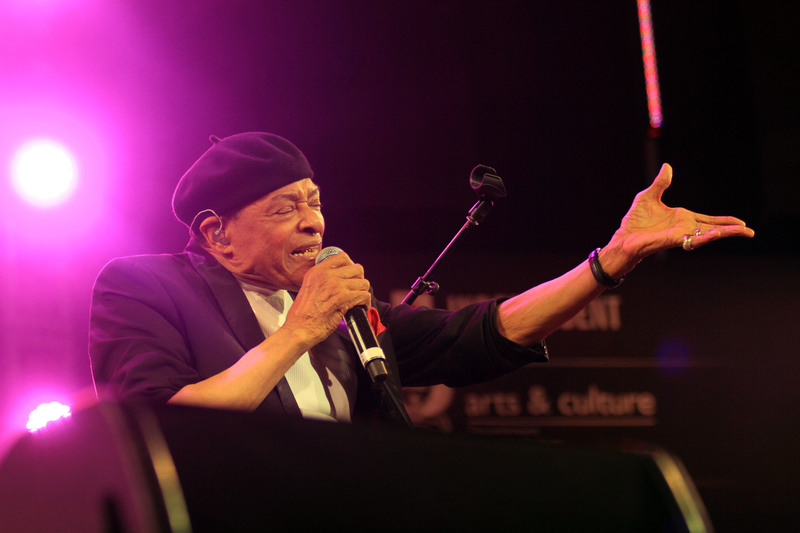 it can survive…..
CM: Jazz comes out of a folk history, like in the USA, the African Americans sang their gospel folk music. Folk music is ethnic, expressing a society’s history and culture. 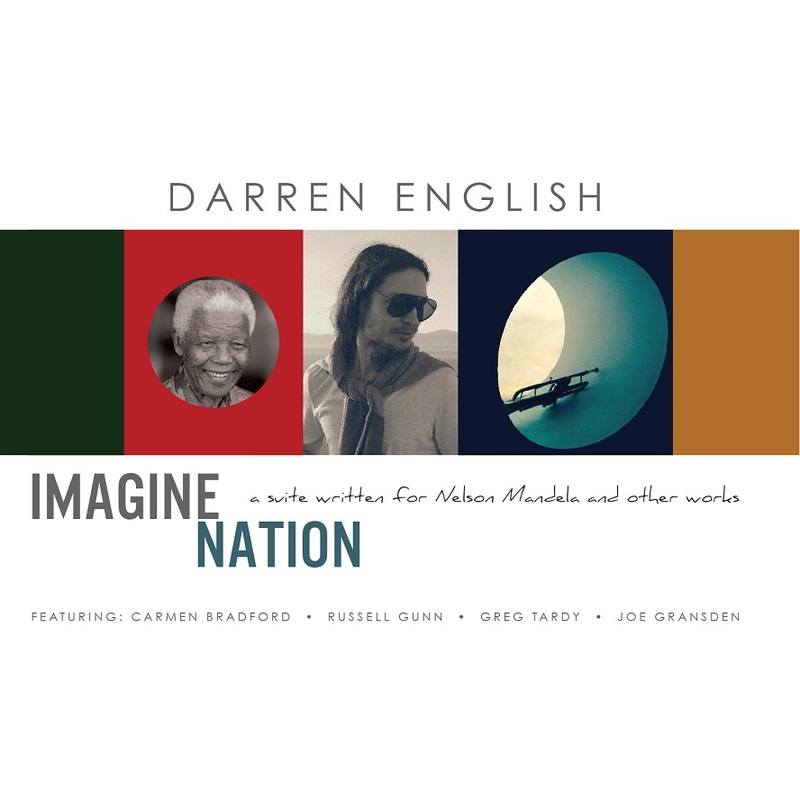 In South Africa, with its many different ethnic groups having their own folk expressions, don’t you think there should be more jazz coming out of these groups? Coming from the Afrikaaners, Anglos, Africans, etc? Is this happening? Maybe folk is jazz. SM: Educationally, we South Africans suffer from myopia. We don’t research on ourselves. We believe something else. What can we offer, we say? Mbaqanga music has a complex guitar… just like in jazz. There’s also the Maskandi of KZN. There are different styles we have not been able to tap into and create. And yet outside people say, wow! Courtney Pine was very avant garde in his improvised West African music. We shouldn’t look down on our African music which is jazz just because it doesn’t sound like American jazz. Look what Jan Garbarek did in his Norway. He went to the mountains to discover and research the indigenous Sami music, and brought it to us. 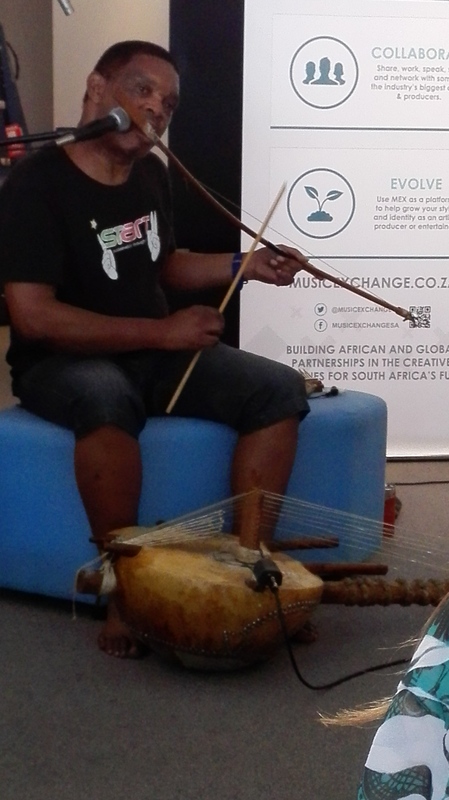 As part of the Music Exchange, Red Bull Studios, and SA Concerts collaboration, two extraordinary music specialists in African traditional instruments came together in Cape Town on 7 March 2015 for a workshop with an audience involved in the music industry. Pops Mohamed specializes in a variety of African instruments, but on this day, he showcased the wonders of the Mbira Kalimba, or ‘thumb piano’, and the African mouth bow and kora instruments. His partner in crime, Dave Reynolds reigned in his steel pans which offered historical juxtapositions with African xylophone sounds and rhythms. 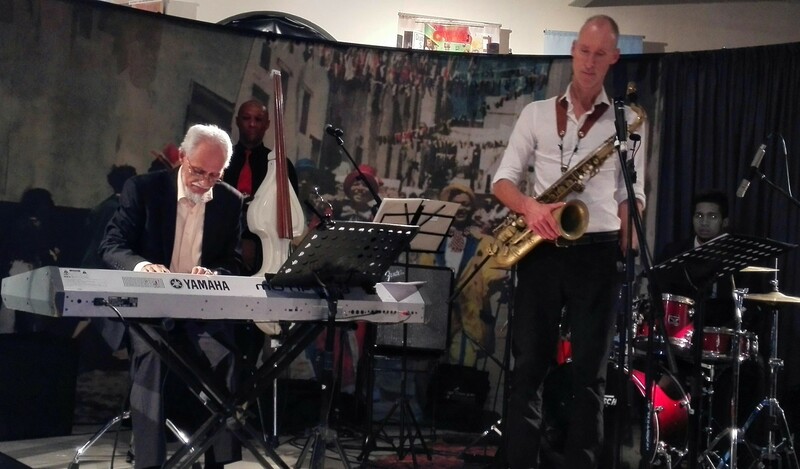 Their exchange was part of a wider concert performance schedule that reached the public in Cape Town with not only eclectic traditional African sounds, but messages from histories of how such instruments emerged. Such was the focus of this Saturday workshop – to have the music industry give more serious thought to supporting a future which continues to preserve these cultural artefacts and their history as well as their application to our contemporary musical world. 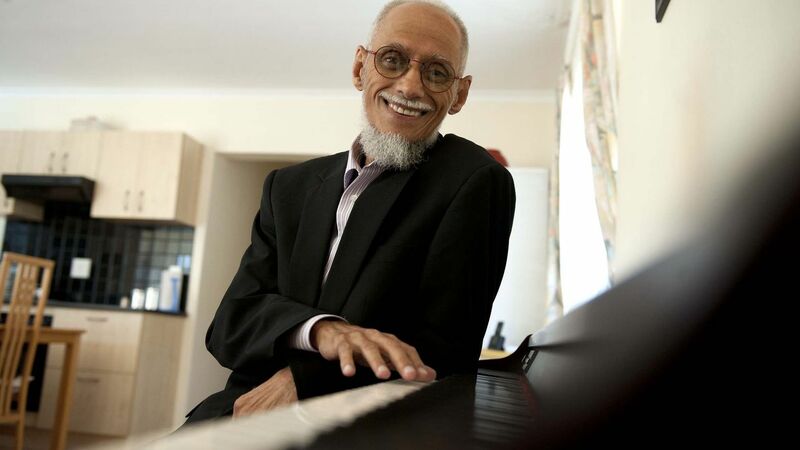 Reynolds, an award-winning South African composer and multi-instrumentalist, gave an impressive background to his and Mohamed’s enthusiasm for their cause: He cited the ‘father of African ethnomusicology’, Hugh Tracey, who, for some 40 years until his death in 1977, travelled widely in southern Africa recording music of the various societies, and learning some 20 African languages in the meantime. His son, Professor Andrew Tracey, born in 1936 in Durban, continued his father’s legacy. Together, they had founded Kwanongoma College of African Music in Bulawayo, Zimbabwe in 1960. 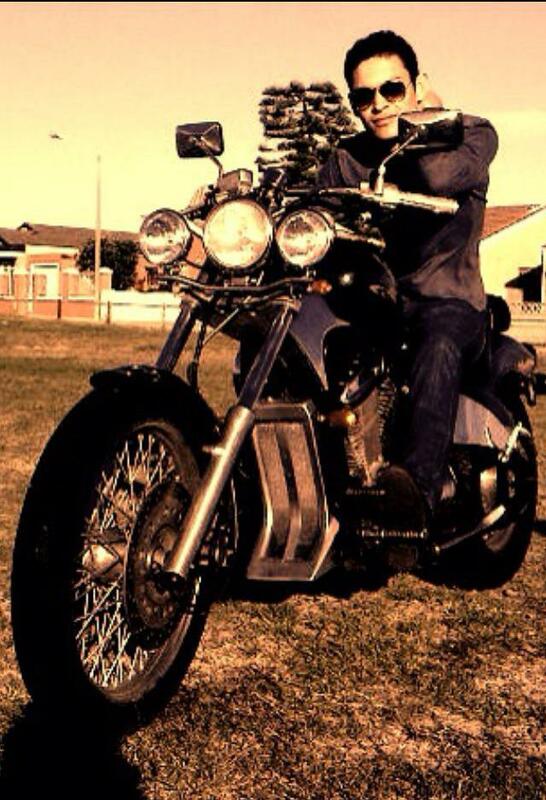 Andrew continued to research southern African music focusing on the various sounds in the mbira and xylophone families of traditional instruments. 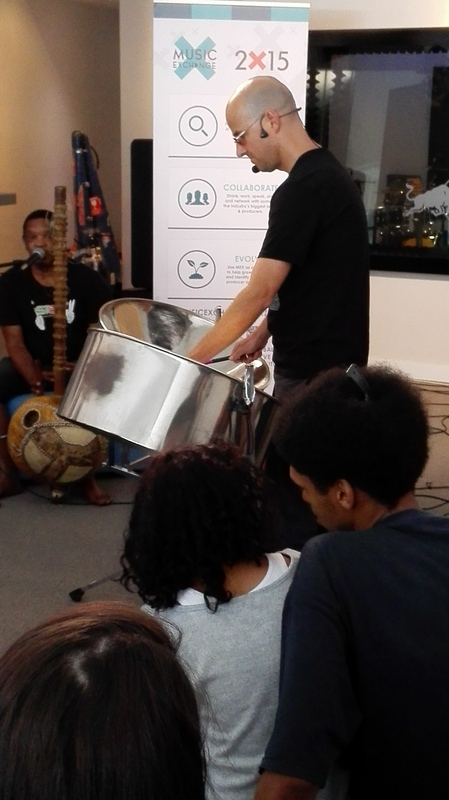 This explains Andrew’s passion for steel pan instruments, which also explains why Pops Mohamed and Dave Reynolds are a natural duo to perform such traditions. “The business of music involves learning the future”, said Reynolds. This implies preservation. One way to do this is to NOT see culture in an instrument: “I deliver my own identify, what is me, when I play the pans,” he says. He explained that the steel pans are a hybrid percussion developed in the Caribbean islands amongst slaves who were not permitted to make drums of skins. So you see an instrument for what it can deliver, and in this way, that instrument can travel and combine with other sounds. It’s not only rooted to a ‘culture’. Besides delving into the instruments’ roots, the duo added flavour by performing their pieces. It’s when Afrikaans vernacular hip-hop artist and rapper, Jitsvinger (alias Quintin Goliath), joined in a jam to add the traditional Khoi spoken word to the duo’s presentations that the indigenous mixtures bubbled harmoniously. The versatility of Mohamed’s exchange between the mouth bow with attached gourd, alternating with his mbira and kora and bird whistle, also highlighted the occasion. The audience not only listened, but also participated by passing around rattles made from metal keys and bamboo and bean shakes which added soft percussive rhythms. Time ran out, after this two hour session, with listeners eager to talk more, considering what stimulation they would take home with them that day. 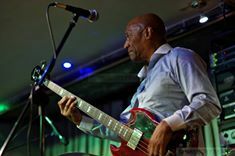 Similar workshops are being conducted by Pops and Dave this week at other Capetown venues, and more concerts have been added. More is yet to come from this inventive and inspirational duo in the future…..which is what preservation is all about.